The Law Office of Yvonne Michaud Novak provides compassionate, effective legal advice on elder law and estate planning issues. We offer a full array of services that you need to help you prepare and plan for the future. From retirement planning to preparing for incapacity to securing your legacy, the assistance we provide will help you to be prepared for whatever life brings you. Our firm has a long track record of providing effective legal advice to clients in Two Harbors, MN. We know the local laws and the tools you can use to create your estate plan, retirement plan, incapacity plan, and more. Clients in Two Harbors trust us to help them address some of the most sensitive and important issues related to protecting their assets, autonomy, and family and we take that responsibility seriously. To find out more about the help we can provide, give us a call today. Two Harbors, MN is a Minnesota city located along Lake Superior. This city, which is the county seat of Lake County, had a population of just over 3,700 as of the most recent census. The city is located in the Laurentian Mixed Forest Province, which is an area with many swamps and conifer bogs. In Two Harbors, around 21.1% of the population was 65 or older as of the most recent census. One of the key ways that a Two Harbors elder law and estate planning attorney helps you is to work with you to make a plan to obtain benefits you need as a senior. Many seniors eventually come to rely on home healthcare aides for help with activities of daily living because illness or age-related infirmity makes it impossible to handle basic tasks on their own. Seniors may also need to move to a nursing home. Medicare won’t cover home care or nursing home services in most situations, so it’s important to develop a plan for how to cover costs. The Law Office of Yvonne Michaud Novak assists you in exploring possibilities such as making a plan to qualify for means-tested Medicaid without impoverishing yourself first, since Medicaid does cover nursing home care. While getting a nursing home paid for or getting coverage for the services of a home health aide can be complicated, there are some free and community-based services you can take advantage of if you only need a little help remaining independent or if you simply want to ensure you remain socially connected. You can find out about these services by visiting the website of Health and Human Services for Lake County Michigan. This website offers details on programs for elderly Two Harbors seniors, as well as listing social services and a calendar of events seniors can take part in. You can also make use of the Lake County Directory of Services Table of Contents to discover more services you may wish to avail yourself of. Another important service that a Two Harbors estate planning and elder law attorney offers is representation during probate. Going to probate court is generally necessary to have a guardian or conservator named for an incapacitated loved one who did not make an incapacity plan. If someone has passed on, going to probate court is also typically necessary to wind up the estate affairs and transfer assets, unless probate avoidance plans were part of a comprehensive estate plan. You can find out about probate proceedings by visiting the website of the Lake County 6th District Court. 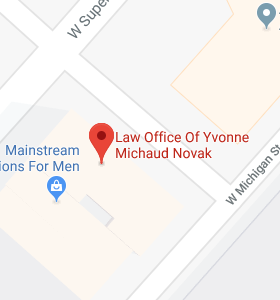 The Law Office of Yvonne Michaud Novak can also represent you if you are the executor of an estate in charge of facilitating probate, if you are an heir or beneficiary trying to protect assets, or if you’re a concerned party arguing the will isn’t a valid one that truly reflects the wishes of the deceased. If you live in or around Two Harbors, MN, you should call the Law Offie of Yvonne Michaud Novak today to find out what our elder law and estate planning attorneys can do to help you. Far too many people don’t have the comprehensive plans in place that they need if they get sick or pass away. You owe it to yourself and your family to work with our compassionate and knowledgeable legal team to make use of legal tools to protect yourself, your wealth, and your loved ones. Just give us a call today to find out about the assistance we can offer.